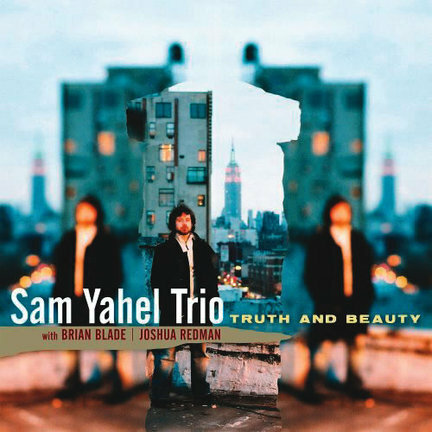 The trinity of organist Sam Yahel, saxophonist Joshua Redman and drummer Brian Blade has become an interesting association. The mission of the group shifts depending on who sits in the director’s chair. And indeed that leadership role shifts. The group began as a cooperatively run unit known as Yaya3, but now it has at least two other incarnations. When Redman leads the trio it is known as the Joshua Redman Elastic Band. Here we have Yahel running the show. Under Redman, the band has been soulful and almost funky. (Well, what else should a saxophonist do, when he wants to get down, but call on an organist?) Under Yahel the tone is totally different. His instrument may be the Hammond B3, but he approaches it with a pianist’s mindset. No disciple of Jimmy Smith is he. No circular phrases or repeated notes. No over-the-top washes or crowd-pleasing trills. In short, no gimmicks. Instead he plays with maturity and grace, and with latent energy. The chatter between Brian Blade’s sticks and Yahel’s pedals is punctuated by bursts from his keys and Redman’s horn on the title tune, which opens the session. Redman and Yahel play a sort of hide-and-seek on the steamer “Saba,” following each other around the twists and bends in the road. For all the interplay, the disc’s climax arrives on “A Paz,” four-and-a-half minutes of unaccompanied solo work by Yahel. His foot plays a simple bass line, his left hand grabs the chords, and his right hand picks out the melody and then solos with a pianist’s sensibility. It is as elegant as anything you’ve ever heard from an organist. Larry Young would be proud. Now, how about a whole disc of Yahel alone?